We are thrilled to present to you, this year’s Craft Catalogue! Shot in the iconic Boyd House on Walsh Street, in collaboration with The Robin Boyd Foundation and styled by Stephanie Stamatis and photographed by Lauren Bamford — this year’s catalogue references both the aesthetic and philosophy of Australian Modernism in its optimism and principles of accessibility and innovation— good design, made for everyone. In our selection of the Boyd House, we hoped to both acknowledge the work of one of Australia's most influential architects and educators and continue the conversation around the place of contemporary craft in our daily lives and how the hand-made transforms spaces and imbues them with personality and warmth. It is a significant time for craft in Australia. We, as consumers, are thinking more critically about the objects we choose to live with and work alongside. While the digital age has brought increased access to global markets, it has also brought questions around sustainability, labour practices and methods of production. Craft presents an alternative to mass-production, and a rejection of the cultural amnesia brought about by a throw-away mentality. 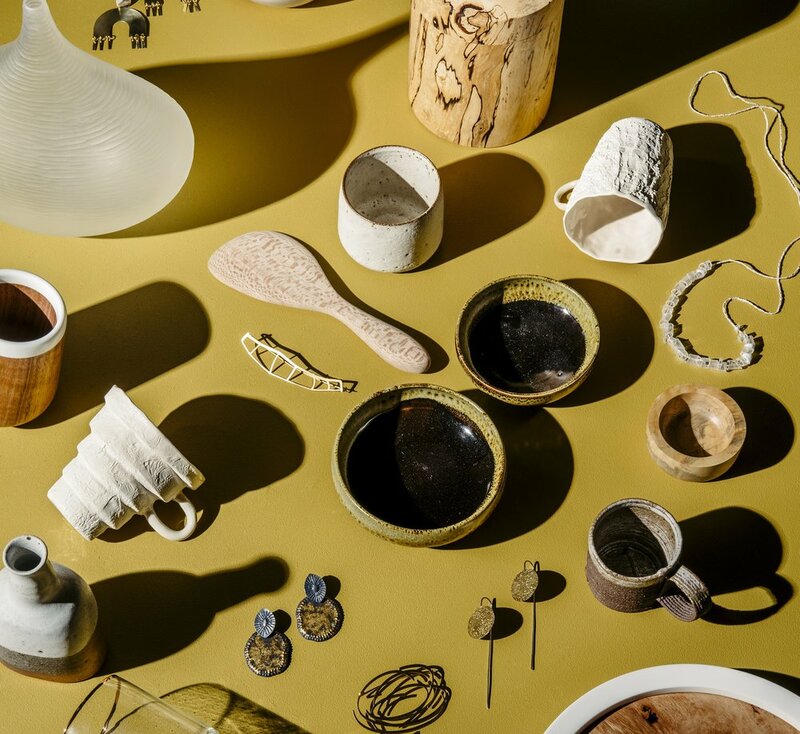 It’s roots in the handmade and rich narrative associations offer more substantial and genuine engagements to object — a way back into connecting with our shared histories and environment. The hand of the maker is present, physically and conceptually in the work, opening the door for more meaningful engagement as we enfold the history of the object into our own. These connections emerge in both object and act — in rituals around food and drink, the adornment of the body and the marking of celebrations. Each year, the Catalogue presents a collection of works made exclusively by Australian craftspeople. These objects stand as contemporary versions of Modernist philosophies, manifesting both accessibility and fine design. A celebration of the diversity of contemporary practice, the catalogue is imbued with the resounding message that craft is for everyone, with traditions that begin with First Peoples and expand to include new technologies and ways of making. We invite you to explore the catalogue and celebrate and support the work of our local craftspeople. Architect, writer, and public educator — Robin Boyd’s significance to Australian architecture is undeniable. In creating and communicating the importance of good design as something which is for everyone, and through his legacy of education and public awareness, Boyd changed the face of Australian architecture. Built in 1958, Walsh St. was the second house that Boyd designed for himself, and was created to embody his principles and philosophies around design as much as it was a home for his family. His most well-known work, the house has been published both nationally and internationally as an exemplar of modernist Australian architecture and is a house that continues to influence architectural thinking today. The Robin Boyd Foundation continues the work and spirit of Boyd through an active, innovative and ongoing series of public learning programs developed to increase individual and community awareness, understanding and participation in design. Craft gratefully acknowledges The Robin Boyd Foundation for making this year's catalogue possible. Each year the catalogue is created with the support of Craft's dedicated and highly skilled staff,. We acknowledge the work of Liberty Scott, Gemma Jones, Kate Meakin, Janita Foley, Ella Bendrups and Hope Lumsden-Barry in making this year's catalogue possible.